This week’s budget announcement outlined a number of measures which have been (for the most part) well received by individuals and businesses alike. This budget focussed heavily on technology, telecommunications and the self-employed. We have gone through the Budget Book, simplified it and filtered out anything unrelated to offer you a look at how the budget might affect telecoms recruitment and your future career. 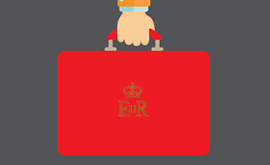 Contractors in particular should be very interested in this week’s budget announcement as a number of measures have been announced that will affect them. For the most part the announcements were positive but there were a few about umbrella companies and expenses which have caused concern for some contractors. The personal allowance will rise from £10,600 to £10,800 in April 2016. The higher rate threshold has been increased to £43,000. Tax relief on lifetime pension pots will be reduced to £1m but will be indexed from 2018 to protect those already in place. Umbrella company and agency payroll expenses will be scrutinised and targeted for anti-avoidance measures. The first £1,000 of savings income will no longer be taxed. Contractor accountants and tax advisers will be subject to new anti-avoidance legislation. Main rate Corporation Tax will fall to 20% from this April, bringing it in line with the small profits’ tax rate paid by most contractor limited companies. Class 2 National Insurance will be abolished over the next five years. Self Assessment Tax Returns will be replaced with a more flexible digital solution. This will enable taxpayers to submit their income details via a number of different methods and is expected to go live in 2020. Travel and subsistence tax relief will be restricted for workers who are under the ‘supervision, direction and control of the end-user’. A raft of new measures to clampdown on tax avoidance will be announced in the near future. The budget was filled with talk about technology and telecommunications and creating an environment where the UK can innovate in these markets. Investment in these areas will affect telecoms businesses, which will affect their ability and their need to hire new people. Again, the announcements were seen as positive, but exactly how these measures will affect businesses is yet to be seen. The government will spend up to £600 million to clear new spectrum bands for auction to improve mobile phone coverage. In addition the government are set to take a more strategic approach to managing public-sector spectrum including implementing a central management system. The government will look to test the latest satellite technology in a bid to find a way of improving mobile coverage in remote communities. The government has committed to bringing ultrafast broadband to “nearly all homes in the country”. Although the announcement didn’t provide any specific details or timescales. The Universal Service Obligation (minimum broadband speed delivered to households) will be increased from 2Mbps to 5Mbps. Funding will be provided to implement WiFi in public libraries and to expand the broadband voucher scheme to more UK cities. £100m funding will be provided for research and development into intelligent mobility, including driverless car technology and the systems required to implement and adopt it. £40m funding for demonstrator programmes, business incubator space and a research hub to develop applications for the Internet of Things technologies in healthcare and social care, and smart cities. A collection of policies to support tech start-ups and entrepreneurs, particularly outside London in emerging tech clusters. The government will extend the Seed Enterprise Investment Scheme (SEIS), Enterprise Investment Scheme (EIS) and Venture Capital Trusts (VCTs) to encourage investment in small and growing businesses. Plans for a standard API in banking were outlined to allow new entrants into the banking sector to access data held by bigger rivals. In addition to these points, the Budget announced measures to overhaul the way that the government provides services. The measures are set to bring government services into the 21st Century with significant investment in cloud computing and collaboration between departments. This will require a great deal of work and will no doubt be a big contract for the telecoms companies that win the tender. The government is putting a lot of time and money into making the UK a hub for innovative telecommunications and technology companies. In addition they are announcing a number of tax relief options and investment schemes to encourage start-ups and small businesses. The additional investment will no doubt see an increase in hiring in the market as companies look to make the most of the new financial rules and fight off competition from start-ups and new entrants. In addition, increased competition from start-ups and small businesses will open up new opportunities for telecoms workers and will put even more pressure on larger, international companies. If the UK government are successful in promoting investment in start-ups and helping small businesses, telecoms companies may need to think about their attraction techniques. Larger companies could end up losing out on creative, entrepreneurial workers to the start-ups, while smaller companies may struggle to attract the more experienced workers who demand higher wages. Increased competition across the sector should not only work to increase hiring, but should also have a positive effect on wages and remuneration packages. On the whole, the budget was very positive for the telecoms market and those working in it. 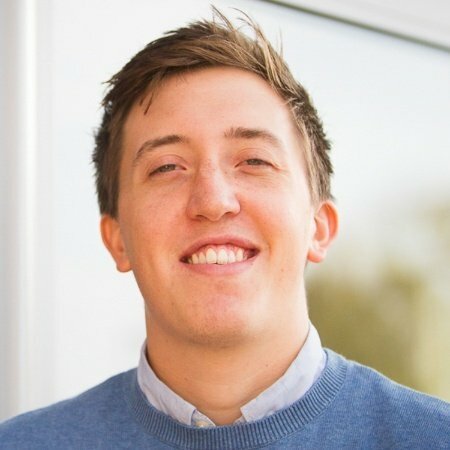 Charlie has 3 years experience in digital marketing, helping B2B technology companies grow their businesses through inbound marketing before joining Vine Resources as Content Marketing Manager. In his spare time, Charlie enjoys travelling and the great outdoors, and he recently hiked from Mexico to Canada for charity. How long are people prepared to commute for "the perfect role" in the Netherlands?